Here at Equity Solutions we believe that the success of our organisation is driven by its people. 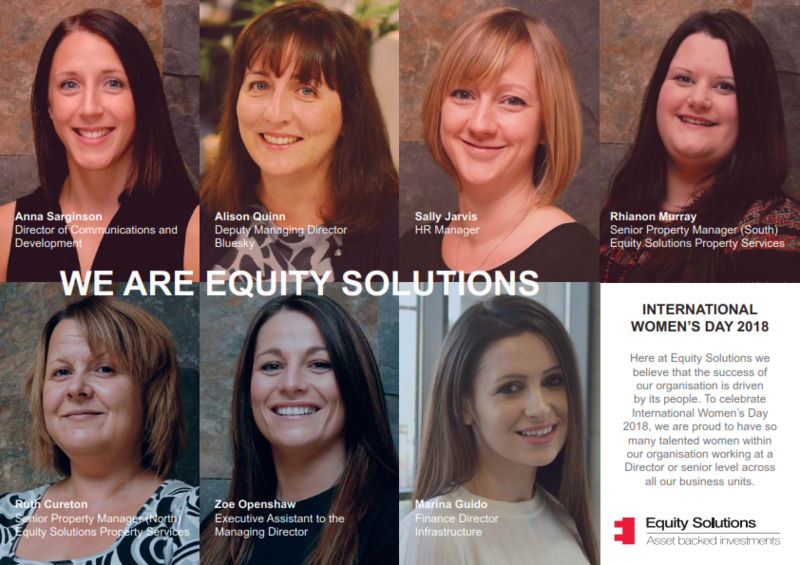 To celebrate International Women’s Day 2018, we are proud to have so many talented women within our organisation working at a Director or senior level across all our business units. All these women joined the Group at various stages of their careers and through passion and tenacity have progressed into Business Leaders. Many have busy and demanding family lives alongside their professions; supported by the company and colleagues they have been able to find the right work life balance. Across the Group we believe in supporting all our staff to develop themselves and further their careers. Our female business leaders are managers and mentors supporting others to develop in the business every day.